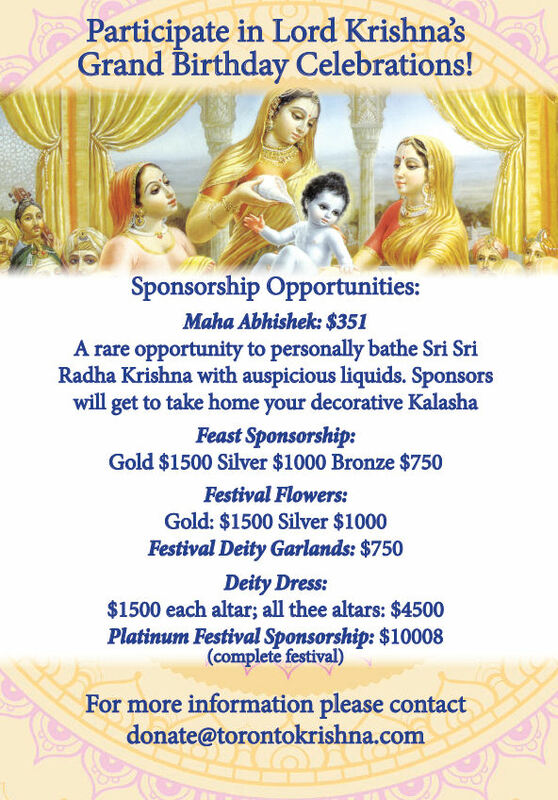 ** UPDATED ** Big Birthday Bash - Krishna Janmastami - Aug 15, 2017 ~ The Toronto Hare Krishna Temple! 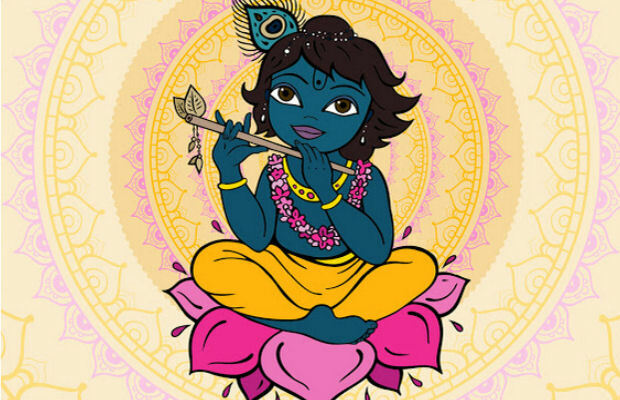 On Tuesday, August 15, 2017, the Hare Krishna Temple will be celebrating the biggest birthday party of the year, Lord Krishna's appearance day - Sri Krishna Janmastami! Main festivities will start at 6:00pm and go until midnight and will be filled with kirtan, bhajans, discourses and more! The highlight of the evening is the countdown to midnight! The momentum builds as the abhisheka (bathing ceremony) is performed and the Temple is filled with wonderful rocking kirtan, at the stroke of midnight, the Deity doors will open and their Lordships Sr Sri Radha Ksira-Chora Gopinatha will be revealed in a stunning flower outfit! It is truly a festival NOT to be missed! Due to construction, we will not be able to provide the free parking located on Pears Avenue. We have found some nearby options for your convenience. There are a few parking lots that are about 10 minutes walking distance from the temple. The rates mentioned below are for the parking overnight, from 6pm - 6am. Please join us with your whole family on this most auspicious occasion! Parking instructions are included in this note. "There are a few parking lots that are about 10 minutes walking distance from the temple. The rates mentioned below are for the parking overnight, from 6pm - 6am. 15 Price Street - $5"